The aim of this study was to identify factors which are associated with the length of stay in a Swiss mental hospital. Demographical and clinical data of all patients who were admitted to the adult inpatient psychiatric service of the Federal State of Aargau in 2016 were examined regarding their association with the length of stay. The study sample included N = 1479 patients. Mean length of stay was 33 days and the median equalled 26 days. 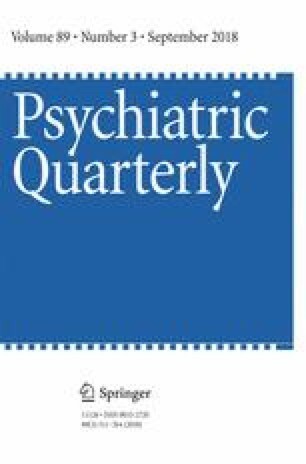 Higher age and a primary diagnosis of psychotic or affective disorder were associated with increased length of stay. In contrast, foreign nationality and compulsory admission were associated with reduced length of stay. While some of our findings were in line with recent findings from Italy and the United Kingdom, others could not be replicated. Niklaus Stulz all declare that they do not have any conflict of interest. The study was approved by the responsible regional ethics committee (BASEC 2017–01533). No human participants were involved and all procedures performed in the study were in accordance with the ethical standards of the responsible research committee and with the 1964 Helsinki declaration and its later amendments or comparable ethical standards. Health at a Glance 2017 - OECD Indicators - en - OECD [Internet]. [cited 2017 Dec 5]. Available from: http://www.oecd.org/health/health-systems/health-at-a-glance-19991312.htm. Health resources - Health spending - OECD Data [Internet]. [cited 2017 Sep 27]. Available from: https://data.oecd.org/healthres/health-spending.htm. Health equipment - Hospital beds - OECD Data [Internet]. [cited 2017 Sep 27]. Available from: https://data.oecd.org/healtheqt/hospital-beds.htm. Gesundheit [Internet]. [cited 2017 Sep 27]. Available from: https://www.bfs.admin.ch/bfs/de/home/statistiken/gesundheit.assetdetail.1380305.html. Arbeitslosenzahlen [Internet]. [cited 2017 Oct 27]. Available from: https://www.seco.admin.ch/seco/de/home/Arbeit/Arbeitslosenversicherung/arbeitslosenzahlen.html.